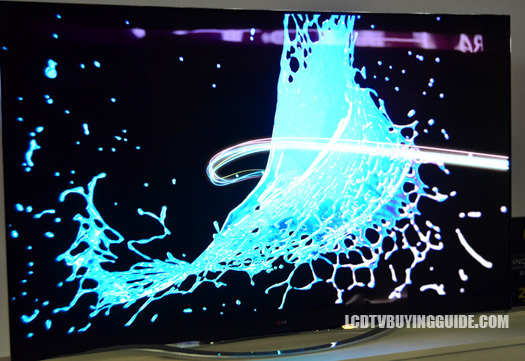 The 55EC9700 OLED TV is a more sensible version of the 77-inch EC9800 model. This one keeps all the features of the 9800 series, but shrinks the screen down to 55 inches in hopes to keep if more 'affordable.' 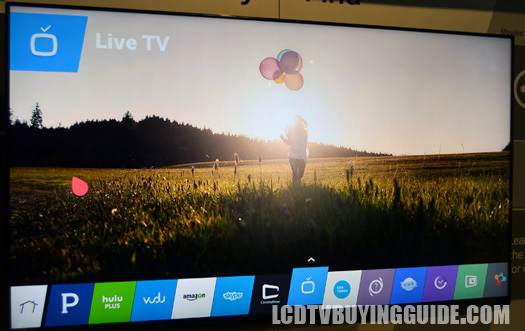 It is an expensive TV in reality, but prices are moving in the right direction for this technology. It also features the curved display that we have been seeing so much of lately. We aren't so sure that an OLED screen is really going to benefit from the curve. Manufacturers cite more immersive viewing and wider viewing angles as the reasons, but an OLED screen brings that to the table by itself. 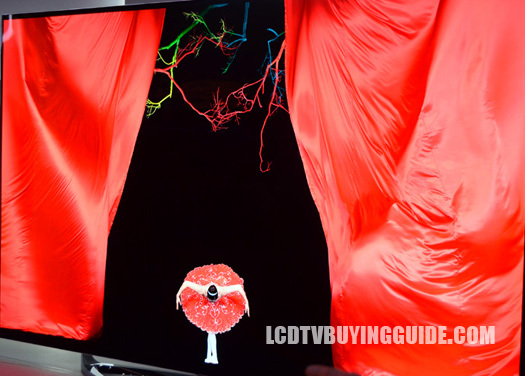 Those who aren't interested in a curved screen should take a look at LG's flat gallery OLED. OLEDs produce their own light. That means black levels are top notch in this TV. The EC9700's picture is not affected by viewing angle or ambient brightness either. Contrast and color deterioration are basically non-existent due to the RGBW display LG uses in this set. The problem of motion judder is addressed in this OLED TV as well. 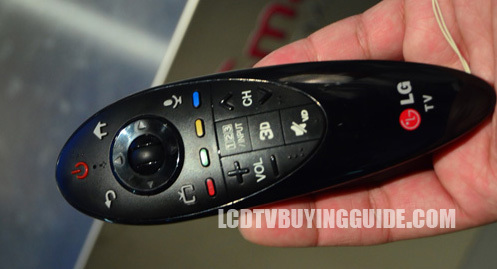 The EC9700 has a 120Hz refresh rate that does a great job of smoothing out any fast motion. A huge plus for live sports programming and scenes with fast action or panning camera movement. Finger Gesture is a new feature using the built-in TV camera. It is limited in use and operation to just a few functions. A small arched menu appears on the screen when you access it with your finger. You can control volume,On/Off function, or input selection but that's it. It just really allows volume adjustment without the remote for all practical purposes. LG hopes to add more functionality to it later. It works reasonably well, but again, you probably wont use it much. 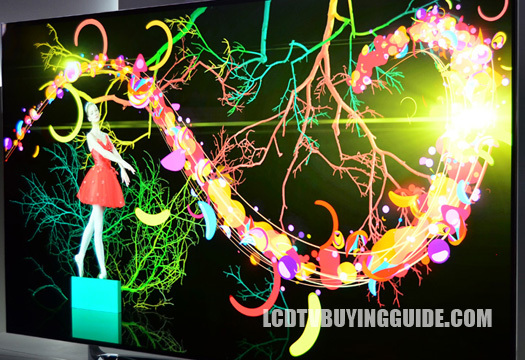 The design of this curved OLED is very minimal compared to some of the other top tier designs we have seen in the past, and even some of LG's other OLED designs. This one is all about giving the attention to the beauty of the display. The sloping stand is smaller than most LG stands of the same design. It also has a shiny chrome finish, but it is not overdone. The bezels and profile are astoundingly thin to wrap up this gorgeous TV.